Walk down an Old San Juan street for a bit of history! As you walk around the streets of Old San Juan you'll want to know what each gorgeous structure is, we've tried to give you a list of some to these historic buildings and who they house today! Originally built by Charles V in 1540 as a fortress; in 1846, it was remodeled and a neoclassical façade replaced its plain exterior, taking on the palatial splendor it boasts today. The building is surrounded by gardens. 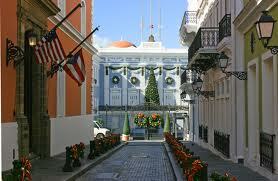 It now has now became the official Governor's Residence in Old San Juan. Free guided tours in English are available daily on the hour, in Spanish every 30 minutes. Tours last about 40 minutes. Access to the official areas is not permitted. 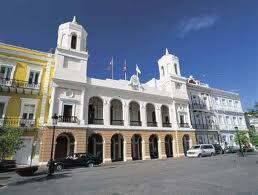 San Juan's City Hall, started construction in 1602, completed in 1789. In the 1840's the building was heavily remodeled providing its present day facade intended by its builders to be an exact replica of Madrid's. 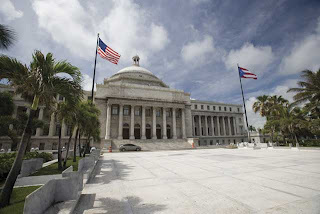 The Capitol Building of Puerto Rico holds the offices of senators on one wing and those of representatives on the other, with galleries, friezes, mosaics and an impressive rotunda in which Puerto Rico's constitution is exhibited. Construction began in 1919 and the building was inaugurated in 1929. 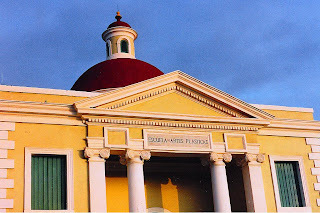 The School of Fine Arts was built by the Spanish colonial government in the 1800s. Previously the facilities served as an asylum for mental patients. Formerly the Spanish colonial exchequer, a fine example of 19th century Puerto Rican architecture, now houses Puerto Rico's State Department. La Intendencia faces the central Plaza de Armas in Old San Juan. 200 Calles San Jose St.
Tours are offered free of charge in English and Spanish. Built in the late 1700s, is one of six heavy wooden doors in the wall which for centuries were closed at sundown to cut off access to the city and protect the city from invaders. The wall is approx. 20 feet thick and 40 feet tall. Built in 1837, this was formerly the local San Juan penitentiary. Now it is elegantly landscaped with trees, a fountain, and a bronze sculpture. The building houses the Puerto Rico Tourism Company headquarters and rotating art exhibits. 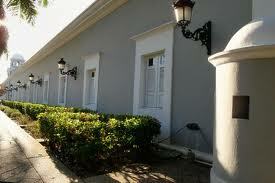 Is part of the Puerto Rico Institute of Culture, displays and offers for sale a verity of island crafts. University of Puerto Rico which include campus, University Museum and the Jardin Botánico (Botanical Garden) is located in the Río Piedras. 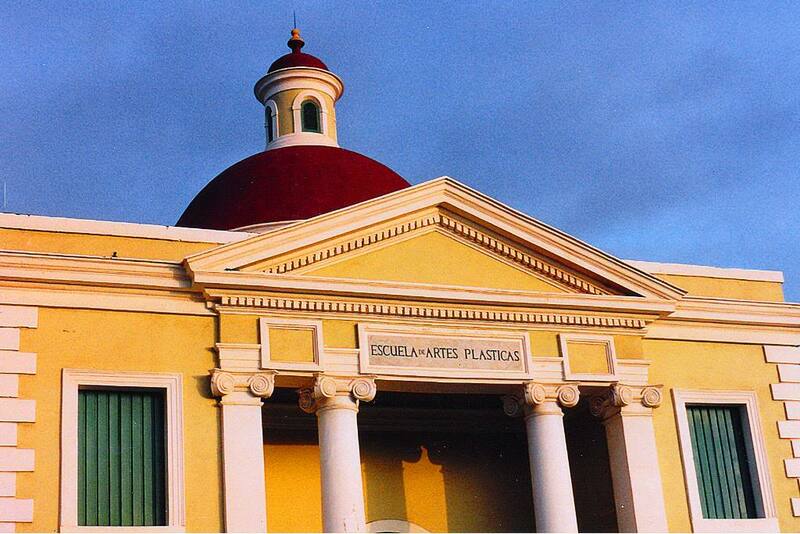 The University Museum has archaeological and historical exhibitions, and also monthly art exhibitions.